A GUATEMALAN MOTHER who was caught with shirts soaked in cocaine valued at €179,000 in her luggage at Dublin Airport has been jailed for three years. Gardaí revealed a chemical process would later have been used to extract the cocaine from the shirts. 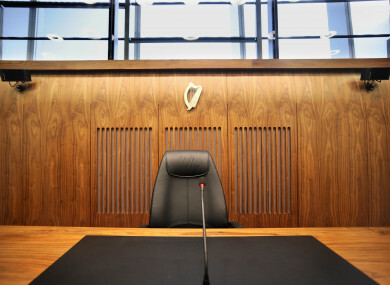 Keila Pineda Lopez, aged 29, of no fixed abode, pleaded guilty at Dublin Circuit Criminal Court to possession of cocaine for sale or supply at Dublin Airport on 22 November 2017. She has no previous convictions. Garda Michael Higgins told Derek Cooney BL, prosecuting, that Lopez was intercepted by customs officers at Dublin Airport after travelling from Brazil. Her luggage tested positive for cocaine and it was found there were 20 identical shirts soaked with cocaine. Garda Higgins told the court that the cocaine could be extracted from the shirts at their intended destination using a chemical process. He accepted that Lopez would have had no knowledge of this process. The shirts were analysed and the cocaine that would have been extracted from them estimated to have a street value of €179,550. Lopez told gardaí she had been approached in her home country and offered €3,000 to transport the drugs. She said she was to be paid on her return and made some allegations of threats. Gardaí accepted there had been a mixture of inducement and coercion involved in Lopez’s participation in the offence. Lopez had little English and had been given a note to give to a taxi driver with the name of a hostel on it, where she was to wait for further instructions. She made full admissions and co-operated fully with the investigation. Garda Higgins said Lopez had been very honest about her role and was worried about her family. Padraic Dwyer SC, defending, said his client was a mother of one child who she had as a teenager and left school to support. She has worked as a waitress and cashier. He submitted that her reward for this offence was to be small and there had been some coercion. He asked the court to take into account her guilty plea, co-operation with the gardaí, her remorse and the fact she will be serving her sentence as a foreign national with little prospect of visitors. He said she was using her time in custody well to educate herself to improve her employment chances and said her prospects for rehabilitation were excellent. Counsel submitted this offence was at the lower end of the scale and asked the court to impose as light a sentence as possible to allow her to return home to her child. Judge Melanie Greally noted a letter from Lopez in which she outlined that she regretted her actions and understood the consequences of the activity in which she was engaged. Lopez said she had learned a lesson and would not re-offend. Judge Greally said the circumstances of the case allowed her to depart from the presumptive minimum sentence of ten years applicable to this offence and she imposed a three-year sentence to date from when Lopez went into custody. Email “Guatemalan mother caught with cocaine-soaked shirts at Dublin Airport jailed for three years”. Feedback on “Guatemalan mother caught with cocaine-soaked shirts at Dublin Airport jailed for three years”.